Like the previous two movies of the franchise, Race 3 is going to be full of twists and turns that you did not see coming. A few hours ago, the makers dropped a bomb on us – it was Salman Khan who Directing Race 3! Don’t believe us? This behind-the-scenes video from the Abu Dhabi schedule of the film is proof! The video begins with the warning, “Don’t trust anything you see”. The ‘gorgeous actress’ Jacqueline Fernandez introduces the audience to the hard-working crew of the film – ‘unhappy director’ Salman Khan, ‘dedicated cameraman’ Anil Kapoor, ‘stunning art director’ Daisy Shah, ‘arrogant lightman’ Saqib Saleem and ‘worried costume dada’ Bobby Deol. Finally, Jacqueline introduces the ‘star of Race 3’ and surprise, surprise, it’s Remo D’Souza! 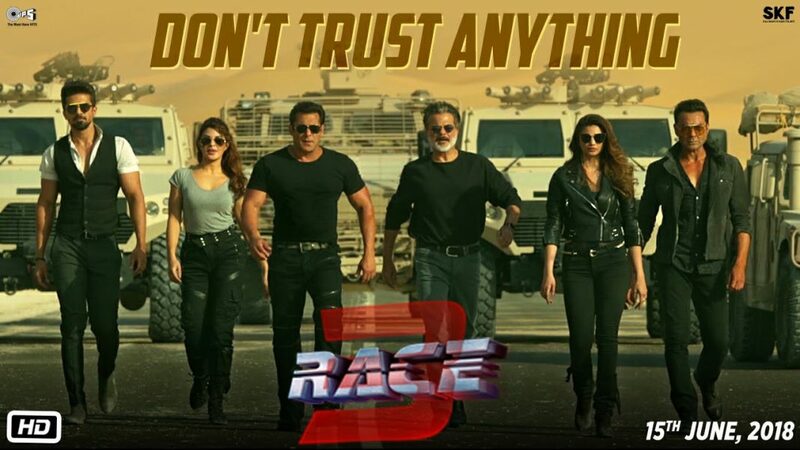 “Don’t trust anything you see in Race 3,” he reminds the audience. The trailer of Race 3 hit the internet earlier this week, and not all were impressed. While some criticised the story (or lack thereof), others cringed at the unforgivably terrible dialogues like “Our business is our business. None of your business.” The three-and-a-half-minute video inspired a flurry of memes and jokes. Produced by Ramesh Taurani and Salma Khan, Race 3 will release on June 15.